All Highland Park 04 Instl homes currently listed for sale in Highland Park as of 04/21/2019 are shown below. You can change the search criteria at any time by pressing the 'Change Search' button below. 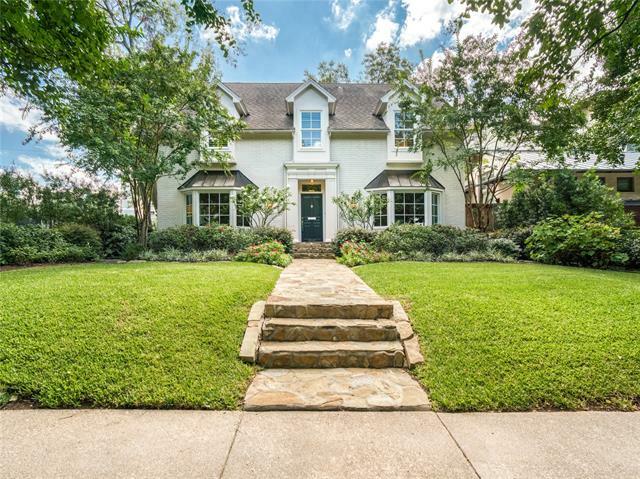 "Adjacent to Abbott Park and the Katy Trail with a short distance to Knox restaurants & shopping, this 4bd 3.1ba traditional has it all. Completely remodeled in 2013, in front is a formal dining room and living room, and in back a den, full bar, and kitchen with a wet island dining table, custom cabinetry, paneled appliances and a commercial style gas range and oven. The enclosed Sun room overlooks the party ready backyard and pool. The upstairs has a fireplace and spacious white marble bathroom "